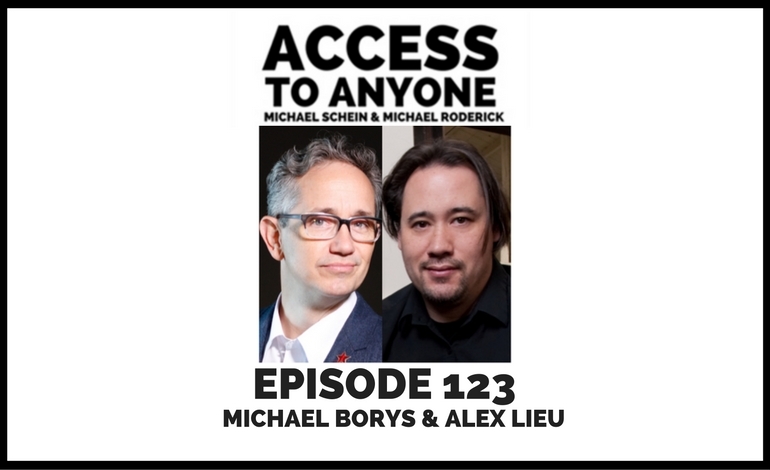 Today’s guests are 42 Entertainment’s Michael Borys and Alex Lieu. Michael Borys leads the interactive design team at 42 Entertainment. He is responsible for all online, mobile and real-world puzzles, games and social activities. From scores of casual games found throughout 42E’s projects such as TRON’s ‘Space Paranoids’ and the Dark Knight’s ‘Sitting Ducks’ to amazing real life collaborative scavenger hunts like the one held in the dead of night on Alcatraz Island, Michael always strives to give the audiences new experiences in fun. From 1996 to 2000, he led various teams within the Disney Company and helped in the creation of the original Disney’s Daily Blast online. In 2000, Michael teamed up with Alex Lieu at 3pinmedia to work on major projects for Disney Imagineering and the Disney Theme parks, as well as create animations and games for television and the web. Pushing the boundaries of traditional entertainment and social gaming while re-defining the rules of digital and real-world play, Alex Lieu serves as both Creative Director and Lead Experience Design Director for 42 Entertainment’s award-winning projects. From sending scores of Batman fans to mysterious locations where mobile phones were buried inside Joker-themed cakes, to leading players through a scary dilapidated warehouse leading to an ultra-secret Nine Inch Nails performance, Alex is constantly searching for new ways to immerse audiences and weave them into fiction. He pioneered immersive storytelling techniques that blend the digital and real to create “events” in fictional worlds that attract massive participation.